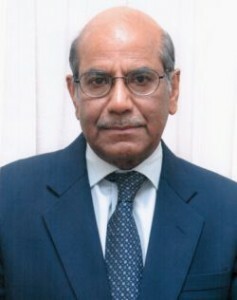 In this column, Shyam Saran – a former Foreign Secretary of India, currently Chairman of the R.I.S. think tank and Senior Fellow at the Centre for Policy Research in New Delhi – argues that competing regional trade arrangements and investment regimes in the Indo-Pacific region, with no clarity on the contours of a new and emerging economic architecture, may well stand in the way of making the 21st century the ‘Asian Century’. 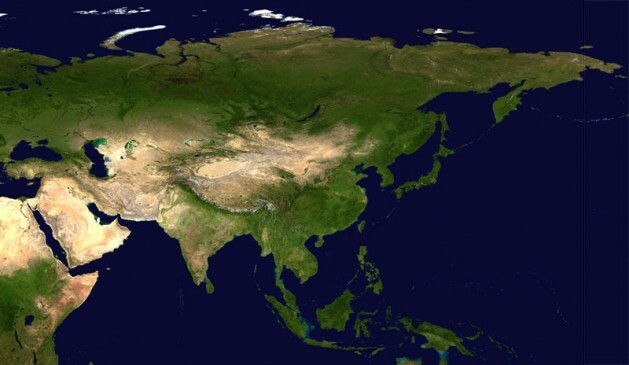 NEW DELHI, Jun 1 2015 (IPS) - It has been apparent for some time that we are in the midst of a historic shift of the centre of gravity of the global economy from the trans-Atlantic to what is now becoming known as the Indo-Pacific. This is an emerging centre of economic dynamism and comprises what was earlier confined to the Asia-Pacific but now includes the South Asian region as well. This is a region which now accounts for nearly 40 percent of world gross domestic product (GDP), which is likely to rise to 50 percent or more by 2050. Its share of world trade is now 30 percent and growing. This year, the region has become the largest source of foreign direct investment (FDI), surpassing the European Union (EU) and the United States. China has been the main driver of this historic shift, but other Asian economies have also made significant contributions. As the Chinese economy begins to slow, India shows promise of regaining an accelerated growth trajectory under a new and decisive political leadership. This will help extend the scale and direction of this shift. Its geopolitical consequences will be profound. It must be recognised that the economic transformation of Asia, in particular the spectacular growth of China, has been enabled by an unusually extended and liberal global economic environment, underpinned by the faith in globalisation and open markets. It has also been enabled by a U.S.-led security architecture in the region which kept in check, though did not resolve, the long-standing political fault lines and regional conflicts over competing territorial claims and unresolved disputes. This relatively benign and supportive economic and security environment is in danger of unravelling precisely at a time when the situation in the region is becoming more complex and challenging. Paradoxically, this is partly a consequence of the very success of the region in achieving relative economic prosperity. We are witnessing new trends in the region which, unless managed with prudence and foresight, may well sour the prospects of an Asian Century. The relatively open and liberal trade and investment regime, in particular access to the large consuming markets of the United States, European Union and Japan, is now under serious threat. Protectionist trends are already visible in these advanced economies as they struggle with prolonged economic stagnation which is the fall-out of the global financial and economic crisis of 2007-2008. Instead of the consolidation and expansion of the open and inclusive economic architecture that had hitherto been the hallmark of the regional and global economy, we are witnessing its steady fragmentation. In the Indo-Pacific region, there are competing regional trade arrangements and investment regimes, with no clarity on the contours of a new and emerging economic architecture. The United States is spearheading its Trans-Pacific Partnership (TPP) which will include some Asian economies, but not India and China. China has countered by proposing a free trade area encompassing the current Asia-Pacific Economic Cooperation (APEC) membership. This will include China and the United States but not India and some of the Association of Southeast Asian Nations (ASEAN) economies. The Regional Cooperation Economic Partnership (RCEP) would include all ASEAN countries plus China, Japan, Republic of Korea, India, Australia and New Zealand, but not the United States. And finally, there is the East Asia Summit process (EAS) which includes all the above-mentioned countries but also the United States and Russia. The danger is that instead of an inclusive and regionally integrated Asia, we may end up with exclusive and competing clusters, moving at different speeds, with different norms and standards. This may well undermine the very basis of Asia’s economic dynamism. In the security field, too, we are witnessing a growing salience of inter-state tensions and competitive military build-up. The U.S.-led security architecture remains in place formally but its erstwhile predominance is diminished. The gap between the military capabilities of China and the United State is closing steadily. As China’s security footprint expands beyond its shores, it will inevitably intersect with the existing deployment of the forces of the United States and its allies and partners. Faced with an increasingly uncertain security environment and threatened by a more insistent assertion of territorial claims by China, the countries of the region, including Japan, Republic of Korea, members of ASEAN, Australia and India are building up their own defences, in particular maritime capabilities, and this itself is escalating tensions. There is as yet no emerging regional security architecture which could help manage inter-state tensions in the region. This includes the growing possibilities of confrontation between the United States and China. Can China’s Silk Road Vision Coexist with a Eurasian Union? In the absence of such a regional security architecture, based on a broad political consensus and a mutually acceptable Code of Conduct, the region may well witness a heightening of tension and even conflict. These developments would inevitably and adversely impact on the dense network of trade and investment relations that bind the countries of the region together and erode the very basis of their prosperity. In this context, mention may be made of the Chinese One Belt One Road (OBOR) initiative which seeks to deploy China’s surplus capital to build a vast network of transport and infrastructural links not only across the Indo-Pacific but also straddling the Eurasian landmass. The newly established Asian Infrastructure Investment Bank (AIIB) initiated and led by China would become a key financing instrument for the OBOR. China has also recently come out with a new Defence White Paper, which puts forward a new strategy of Open Seas, shifting the emphasis from coastal and near sea defence to an expanding naval presence which matches China’s growing global profile and world-wide location of Chinese-controlled economic assets. While China’s investment in regional infrastructure in Asia may be welcome, it will inevitably be accompanied by a security dimension which may heighten anxieties among countries in the Asian region and beyond. It is apparent from the above analysis that it is no longer possible for any major power in the Indo-Pacific to unilaterally seek a position of overweening economic dominance or military pre-eminence of the kind that the United States enjoyed over much of the post-Second World War period. Just as the world is moving towards multi-polarity, so is Asia. It is now home to a cluster of major powers with significant economic and security capabilities and interests. The only practical means of avoiding a unilateral and potentially destructive pursuit of economic and security interests would be to put in place an inclusive economic architecture underpinned by a similarly inclusive security architecture which provides mutual reassurance and shared opportunities for promoting prosperity.